Oh how I have missed playing at Fusion. I just could not resist these gorgeous colours! Definitely speaks summer to me. The flowers in the photo reminded me right away of Daydreamer, one of my most favourite PTI sets! Tracey...this is just amazing! 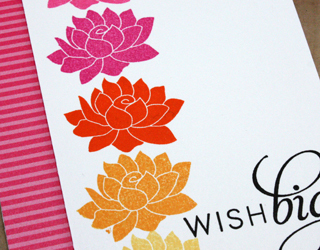 I love the bright vivid colors and that flower is so perfect for your card! Enjoy your weekend. 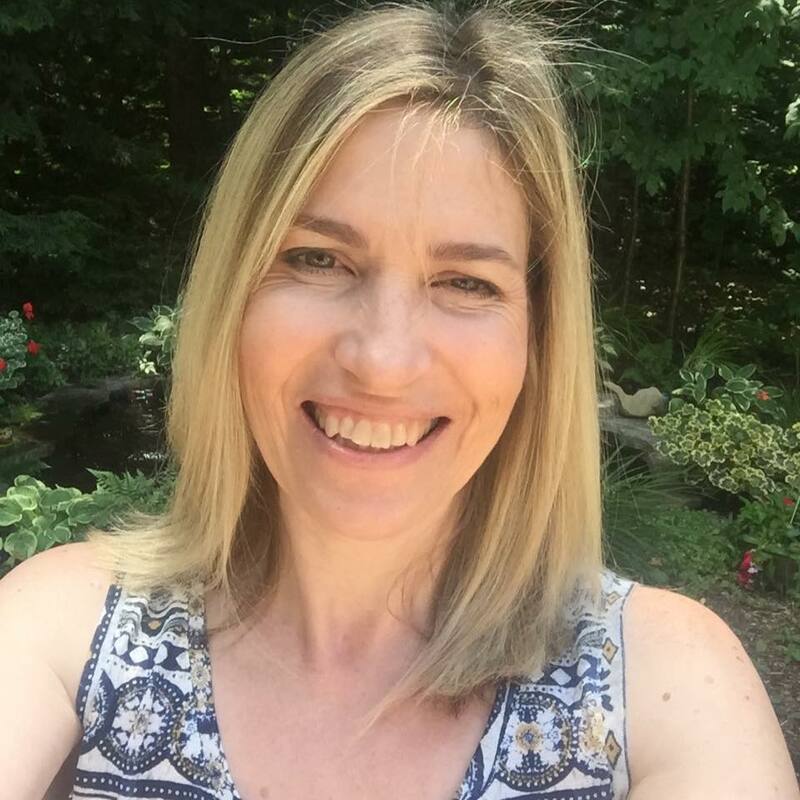 Gorgeous, Tracey! I love your bright flowers, and the striped paper is perfect with them! Oh your stamping is absolutely divine. I love how crisp your card is. So glad you could play with us at Fusion! gorgeous card.. love the big sentiment and those flowers are lovely..
What a beautiful card,Tracey!! Pretty colors!! Love your take on this, Tracy! So fresh and beautiful! Happy Saturday! Well, I just pinned this lovely masterpiece this morning and didn't even realize it was yours! This is fabulous Tracey!!! What a fun design!! They really are gorgeous colours and I love how you used them here! Fabulous take on the challenge! I love this! Gorgeous colours, flowers and sentiment! Every inch of this card is sheer AWESOME, Tracey! From the striped border to the beautiful sentiment to the gorgeous, colorful flowers, this ROCKS!! What a beautiful card Tracey! love the striped piece on the left side and the gorgeous bright blooms! 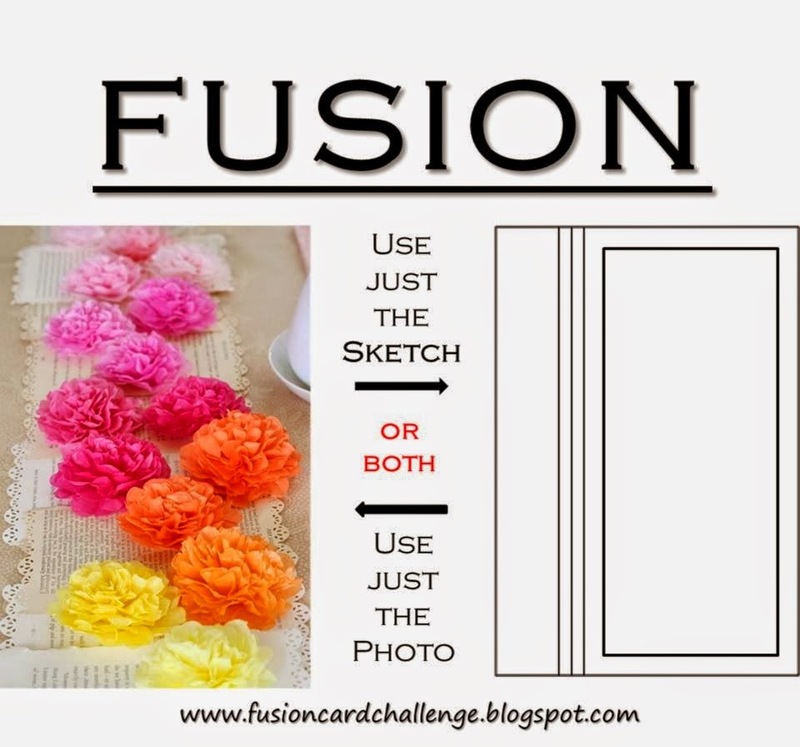 Thanks so much for being inspired by the Fusion challenge! This is so bright and cheerful -- love it. This is just beautiful Tracey. I love the design, the colours and the clean style. Perfect! What a pretty card with all the colorful flowers, so lovely! Love this, Tracey! Those blooms look gorgeous and I love the striped side panel! Fabulous card Tracey as always :) Thank you for sharing with Fusion! Your palette and layout are perfection my friend! Tag You're It and an Exciting Announcement! CCC #100 - Happy 100th Cue Card CASology!